SACRAMENTO — Before California voters passed a ballot measure legalizing marijuana for recreational purposes, Gov. Jerry Brown (D) warned of the dangers of importing Colorado’s “Rocky Mountain high.” But as Brown prepares to leave office, his constituents apparently had no such qualms. 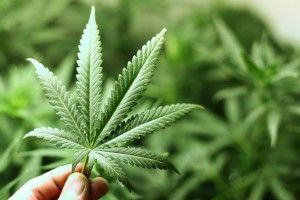 The state Department of Finance expects Californians to purchase nearly 1 million pounds of marijuana over the first full budget year of legalization, between July 1, 2018, and June 30, 2019. That would amount to $3.4 billion in recreational retail sales in the first full year, and $643 million in tax revenue for the state. If California is like the other states where recreational marijuana use is legal, those estimates are likely to be lower than actual sales and revenue. Finance staffers consulted with their counterparts in Colorado, Washington and other states where marijuana is already legal to arrive at their estimates, said H.D. Palmer, a department spokesman. Those states almost all underestimated the amount of marijuana businesses would sell in initial months. Colorado has it right, and us Californians could make the same commitment in short order. As we approach a statewide job shortage figure of 1 million by 2030, labor agencies, public education institutions and private enterprises must band together to remedy this impending economic crisis. Without a highly trained, technical and employment-ready workforce, our ability to produce the goods and services of tomorrow will not keep up with other areas of the country, let alone the world. No one entity can solve this. Collaboration by all stakeholders will solve this looming problem. And it starts in the factories and offices with high school students. Look no further than The Centennial State to see how this is done. As one of the fastest growing economies in the country, demand for skilled labor soared, but supply remained insufficient to meet it. Businesses, with the help of state workforce development agencies, began to create apprenticeship programs that offer high school students the ability to acquire relevant, job training that counted toward not just their high school diploma, but also advanced college credits. In turn, the participants received valuable skills that translated into greater education opportunities as well as a path toward well-paying careers, all while lowering the cost of college and bolstering the Middle Class. The kind of apprenticeships will depend not just on the current needs of industries within The Golden State, but future ones. State agencies should solicit the help of companies that reside within our border, but also others that its economic development task forces are wanting to attract. These organizations are wonderful targets for developing partnerships that will bring in new jobs as well as fill critical openings. Businesses clamor to collaborate with government and educational institutions in workforce development initiatives. Today’s global economic environment means funding a well-trained labor pool on their own would hamper their ability to compete around the world, let alone here at home. State agencies that reach out to companies will obtain a very willing partner. The amount of debt a student typically holds from their traditional four-year degree puts many of them at a distinct disadvantage. Apprenticeship programs that integrate high school students on job sites can be the catalyst to reducing the cost of education statewide. Incorporating trade level certification programs that tie into high school graduation requirements and, better yet, advanced college credits, will mean fewer days in the classroom for students and less overhead for campuses. Many businesses will also gladly offer these rising stars tuition assistance and other financial incentives to further their education. From the students’ perspective, apprenticeship programs like these will put them on a faster route toward good paying, rewarding careers. They will also infuse more of their income into the economy that would have otherwise gone towards paying off their incredibly burdensome school debt. Be clear to students that participating in apprenticeship initiatives doesn’t mean they’re tied to the companies after completing the program. The desire to continue employment should remain up to the businesses and the individual. Undoubtedly, some attrition will occur, but for the most part, it will stem from the students’ desire to take their newly acquired skills a different direction. The economic benefit for the state and companies will remain, though. The individuals that complete the apprentice program, but find other opportunities, will be lucrative economic engines on their own. Those students that continue with the company will be valued assets who have completely bought into the business. Apprenticeship programs will rise to prominence as the labor shortage in California continues to grow. The question then becomes how to make them successful. Looking at Colorado’s success is a good start. Margo Turner is the Founder and CEO of Powerminds, a tribe of strategic and creative minds invested in transforming education, workforce and economic development that spans every discipline and every kind of partner. She can be reached at margo@power-minds.com. With a big tax surplus flowing into state coffers, California shattered records last year with a historic haul dwarfing those of other large states around the country. This year, meanwhile, legislators planned still further increases. “During the 2013-14 fiscal year that ended last June,” the Sacramento Bee reported, “California collected $138.1 billion in taxes of all kinds, 16 percent of all state taxes collected in the nation and more than the next two states, New York and Texas, combined.” The majority of the sum came from personal and corporate income taxes, according to the Bee. Tax watchers, the Chronicle noted, paid special attention to a surge in taxes amassed through payroll withholding. In a report cited by the Chronicle, Standard & Poor’s called the increase “a sign that California’s economy is firing on all cylinders.” But that interpretation did not extend to the Golden State’s self-employed economy, since entrepreneurial taxpayers don’t have their taxes withheld in advance by an employer. Despite the influx of revenue, legislators have not been satisfied with tax rates. Assembly Bill 464, introduced by Assemblyman Kevin Mullin, D-South San Francisco, “would give local governments the power to add another 1 percent to the combined state-local sales tax rate with voter approval,” the Bee reported. On at least one issue where elected officials remain divided, the prospect of higher taxes has deepened. Although the push to legalize marijuana in California would presumably bring more tax revenue to Sacramento, Colorado’s uneven experience with the process has led to increasing reticence among Californians who don’t want to struggle with similar problems. As CalWatchdog noted previously, Coloradan legislators have divided over what to do with the excess tax revenue. The indirect tax consequences of legal marijuana could also mount. At a recent panel convened by the Northern Californian chapter of the ACLU, “Paul Gallegos, a former district attorney in the marijuana-growing heartland of Humboldt County, noted that a pot plant needs 6 gallons of water each day over its 150-day growing cycle,” according to ABC News. Amid California’s protracted drought, water rates and rationing penalties could be dramatically effected. Finally, more comfortable on more familiar ground, some legislators have re-trained their attention on increasing taxes on tobacco products. State Sen. Richard Pan, D-San Francisco, “wants to raise California’s tobacco tax by $2 a pack, to bring in $1.5 billion a year for smoking prevention and smoking-related medical costs now borne by taxpayers through Medi-Cal, the state’s healthcare program for the poor,” the Los Angeles Times reported. On Thursday, a group of sheriffs announced that Colorado is facing yet another suit over its experiment with marijuana legalization. “Big Marijuana must be feeling the heat, and I’m sure they are lawyering up,” Kevin A. Sabet, president of Smart Approaches to Marijuana, said in a statement. This time, the suit’s been filed in federal court by a group of sheriffs in Colorado, Kansas and Nebraska. They want Colorado’s Amendment 64 to be struck down. Medical marijuana will be left untouched, but if the suit is successful, every single recreational shop in Colorado will have to close. Additionally, the sheriffs want protections for marijuana possession and use removed, distinguishing the suit from past attempts. The Colorado sheriffs claim that Amendment 64 has placed them in a precarious situation: In their day-to-day duties, they’re being forced to choose to violate either the Colorado Constitution or the Constitution of the United States. Amendment 64 stands directly opposed to the Supremacy Clause in the United States Constitution, the sheriffs argue. Justin Smith, a sheriff from Larimer County in Colorado, wondered about the possibility that the crafters of Amendment 64 understood the legal contradiction but decided to mislead voters and forward it to the public, anyway. Gov. John Hickenlooper is named as a defendant. Colorado Attorney General Cynthia Coffman has confirmed that she will battle the lawsuit. While Sabet argues that the current jail sentence for smoking a joint is too heavy-handed, he opposes the Big Marijuana becoming a new of Big Tobacco. But pro-marijuana attorney Adam Scavone argues that these suits are not legally sound. A much-feared boycott of standardized tests has come to fruition in Colorado, with thousands of students in some of the state’s top-performing school districts opting out of new standardized tests in an act of collective protest. The boycott was expected, but its scale was not. According to data collected by the Denver Post, about 1,900 students at nine different high schools in Douglas County have refused to take the tests, a number that represents over half the relevant student body at those schools. In Boulder County, another 1,200 are believed to have defied the tests. In some individual schools, the boycott is almost total with over 95 percent of students participating. The tests in question are Colorado’s CMAS tests in social studies and science. In particular, ire is being directed at the administration of the tests to high school seniors, which is happening for the first time this year. While there has been a great deal of fuss nationwide over Common Core multistate standards and their intersection with standardized tests, the protests in Colorado are actually unrelated, as Common Core only covers English and math. Provided the students had their abstentions justified, they are not in danger of being punished for their actions. Still, many students held protests outside their schools to make the point that they were seeking change rather than simply playing hooky. The changes sought by students are summarized in a YouTube video created by some student leaders. The criticisms leveled against the new CMAS tests are diverse. One major complaint is the cost of the tests. Developing and administering the tests costs tens of millions of dollars that could be put towards other education priorities like better books or improved facilities. Students also complain that testing highs school seniors is gratuitous, as the tests’ fall administration interferes with college applications and produces results that aren’t even released until after students graduate. Even if testing were a good idea, students complaint that the test as currently written doesn’t closely align with what they are taught. For example, the social studies test includes an economics component, even though Colorado does not require high schoolers to take any economics. Others have criticized the effect the tests have on other students’ learning. At several high schools classes for freshmen, sophomore, and juniors were canceled entirely for the two days it takes to administer. Several educational officials, including the state’s education commissioner and local superintendents, have expressed a degree of sympathy for the demonstrating students, but the only body with the power to alter the state’s test regimen is the Colorado legislature. A task force commissioned by the legislature is currently evaluating the state’s tests and will make recommendations come January. Some school officials had begged parents to not launch the boycott, since schools that fail to sustain at least 95 percent test participation and have their accreditation rating lowered by the state. Consistently poor accreditation can trigger a host of penalties that schools would rather avoid. This article was originally published on the Daily Caller News Foundation. Those who don’t like the initiative process may have found a powerful ally in the United States Constitution. I write “may” because precedent is not on their side. But that hasn’t stopped initiative critics from making the effort to enlist the court’s support — and the courts are at least listening. On this page, I wrote about a challenge the United States Supreme Court is taking up from Arizona on the right of voters through the initiative process to set up a redistricting commission. The challenge came from the Arizona legislature, which argued that it was exclusively the legislature’s prerogative to set up congressional districts. As in California, voters passed an initiative in the Grand Canyon state creating a citizens redistricting commission. An earlier challenge in federal courts from Colorado argues that the U.S. Constitution guarantees to the states a Republican form of government, which some legislators say, is undone by direct democracy. I have written about the Colorado case, Kerr vs. Hickenlooper, here before. Many legal experts thought the case would be dismissed because the issue was non-justiciable—meaning an issue over which the court cannot exercise its judicial authority. However, the Tenth Circuit Court agreed to allow the case to proceed. Still, one has to wonder if the courts are looking for a way to subdue the initiative process. Look at the record. The U.S. Supreme Court has agreed to hear the redistricting case. The Tenth Circuit has allowed the Colorado case to continue to the surprise of many experts. Here in California, former state Supreme Court chief justice Ronald George has been a vocal critic of the initiative process. A key question for the courts is where to draw the line on where a legislative power is so fundamental that citizens cannot make constitutional changes through direct democracy. Previous courts have not delved into the waters the courts labeled “political.” With increased use of initiatives by the people to legislate over the last four decades will current courts see things differently? This piece was originally published on Fox and Hounds Daily.